As the Ministry of Commerce on Monday launched its online registration database for businesses, officials and experts praised the system as a positive step toward reducing corruption and inefficiency, but said it was still too early to tell whether it would have a meaningful impact on the country’s business climate. Commerce Minister Sun Chanthol said at Monday’s launch event in Phnom Penh that he was confident that Cambodia would be able to significantly improve on that score with its revamped registration process, which now takes only about an hour. “In just one hour, it can allow a company to be created at any place with Internet, and the registrants can print the documents themselves,” Mr. Chanthol said at the event, where the ministry registered a mock company to demonstrate the streamlined process. Registering a business on the website—Businessregistration. moc.gov.kh—costs 1,720,000 riel (about $430), which companies can pay via an e-payment service. 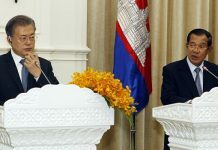 Mr. Chanthol has touted the new system as a way to make Cambodia more attractive to investors, eliminating face-to-face interactions between government officials and businesspeople and reducing the role of the brokers who previously guided applicants through the complex registration process. However, David Van, managing director of business advisory firm Bower Group Asia, said that for the online registration system to have a significant effect, Cambodia must take a step back to first address fundamental issues such as Internet accessibility. Despite the focus on international investors, Lim Heng, vice president of the Cambodia Chamber of Commerce, said it was also important for the government to make sure that local business owners knew how to use the online system. 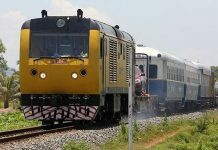 The efficiency of the new system will soon be tested, as the Commerce Ministry also announced on Monday that all 42,000 companies currently registered to do business in Cambodia would be required to re-register online before March 31 or pay a fine. Van Sou Ieng, president of the Garment Manufacturers Association in Cambodia, said that this demand was unrealistic, no matter how good the new system was. “If you require 42,000 companies to be re-registered within a time period, you have to give more time,” he said.